Lisa Bien, a professional marketing strategist and Temple Public Relations Professor, created Bouncing Back in an effort to give Temple students and other viewers insight into their own misgivings concerning self worth while presenting real life examples of personal struggle with self acceptance. 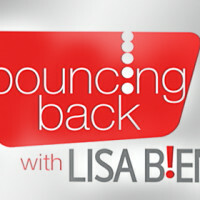 Host Lisa Bien invites three former Temple students who had appeared on previous episodes of Bouncing Back to return to the set to describe how their stories have evolved after facing their struggles head on and reclaiming their lives. Anna Tate (who appeared on the first ever episode of Bouncing Back), Sarah Zigler, and Tracy Yatso update viewers on how their lives have progressed and how they’ve continued to thrive despite previous and continuing difficulties. Anna survived an eating disorder, while Sarah struggled with bipolar disorder and the stigma attached to it, and Tracy suffered the after effects of a concussion for 8 years only to go back to school and encounter further challenges. All three not only bounced back from their struggles but they have gone on to lead successful lives, using their experiences to help others and continue to grow. This entry was posted in . Bookmark the permalink. Both comments and trackbacks are currently closed. Copyright © 2019 TUTV – Temple University Television. All rights reserved.